It’s been three years since it first appeared in showrooms, and now the Suzuki S-Cross has had a facelift to have a more distinctive front end and a bolder road presence. In addition, the car’s ground clearance has improved slightly and there are also new headlights have a clean and contemporary style and are more efficient. There is also a new LED rear light cluster. In the cabin, the interior design brings in soft touch materials for the dashboard and a better frame for the centre panel along with fresh seat fabric designs. 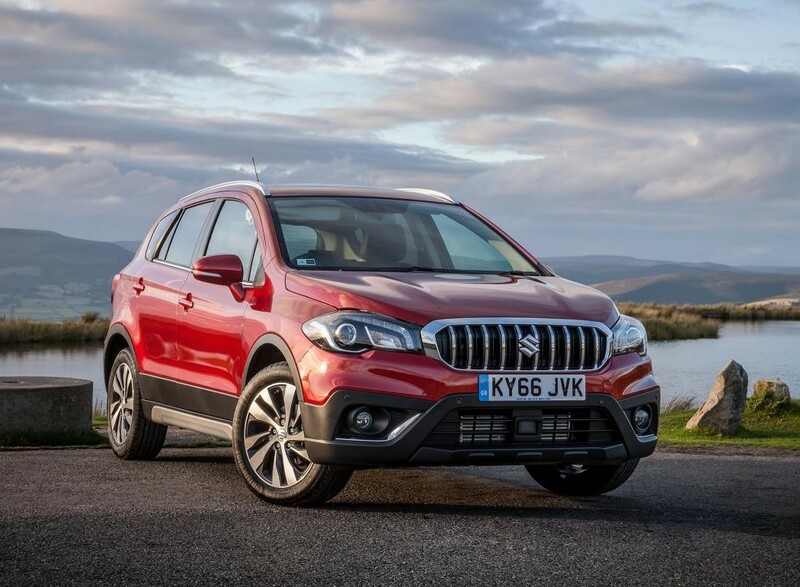 The Suzuki S-Cross has plenty of room for five adults plus their luggage with an impressive double sliding panoramic glass roof coming as standard for the top-end SZ5 model. Standard equipment includes alloy wheels, air conditioning, black protective skid plates, cruise control and heated door mirrors. Other models come with satnav, larger alloy wheels, parking sensors and a rear parking camera. There’s also front fog lamps, dual zone air conditioning, rear privacy glass as well as silver roof rails. However, the real attraction for the new version of the Suzuki S-Cross is the new Boosterjet petrol engines which first appeared in the Vitara earlier this year. The three cylinder 1.0 litre unit will, Suzuki claims, deliver the same level of power and torque as a normally aspirated 1.8 litre engine. The unit will produce 111 bhp helped by a direct injection turbocharger with 9% more torque than the 1.6 litre unit it replaces. Also, the CO2 emissions are lower at 113g/km, though these rise to 119g/km when the engine is coupled to the optional automatic gearbox. The new Suzuki S-Cross goes on sale from October with prices starting for the SZ4 with the 1 litre petrol engine at £14,999. 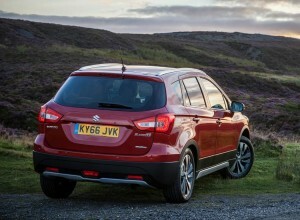 This entry was posted in Car Leasing, Cars, Crossover Cars, New Cars and tagged Suzuki S-Cross by Steve Lumley. Bookmark the permalink.